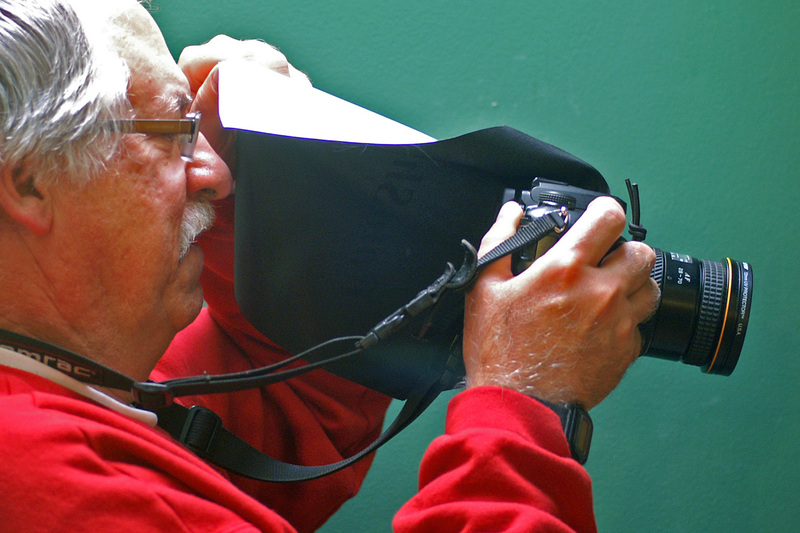 FotoSharp's "Camera Cape" is a NEW product that avid photographers will appreciate. The BLACK side is a sunshade that helps you view your LCD screen -- MUCH more effective than pop-up hoods. BONUS - the fabric has a WHITE side that can be used as a reflector for close-up shots that are back-lit, adding valuable extra illumination. The "top" of the Camera Cape has a cord & cord lock that you attach around the base of the lens. Rotate the Cape as desired for use as either a sun shade or reflector. While you're shooting you can "collapse" the Cape and hold it between your hand and camera.